The energy discharge bouncing between them in the form of banter and jokes could be the by-product of recovering from hours squeezed in a car, then a plane, and a car again. Or it could simply reflect boisterous boyhood – they are after all, 16 to 17 year-olds far away from home. These young men are among America’s finest young cyclists: Gage Hecht and Brannan Fix from Colorado, Gavin Haley from California, Lance Haidet and Cameron Beard from Oregon, and Vermont’s Cooper Willsey. Five of them have piled into one of their rooms in a hotel on the outskirts of Tabor in the Czech Republic. 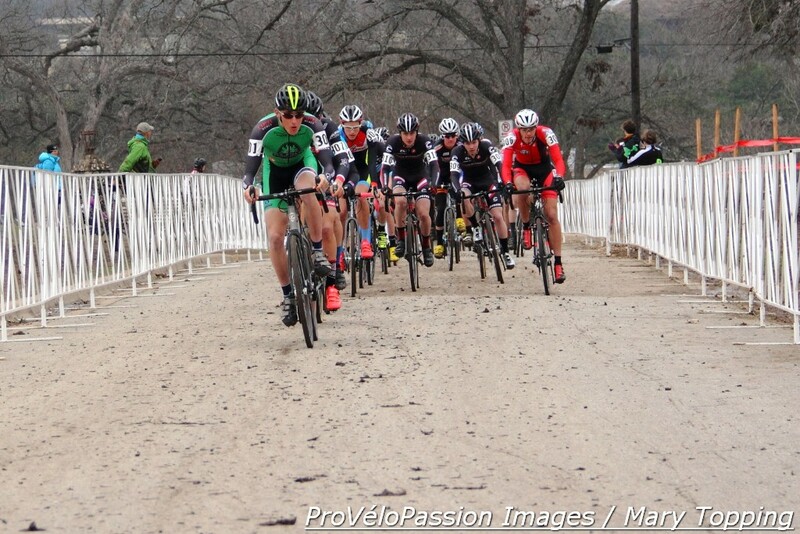 On Saturday they will compete against a field numbering almost 100 in the cyclocross world championship junior race. The ultra big time of bike races. They talk about worlds as “just another race,” another beast they’ll try to tame but in a different suit of battle armor than that belonging to their regular teams during the ‘cross season: a royal blue skin suit splashed with the red letters “USA” and each athlete’s last name inked on the back. Hecht, the current American champion in their junior 17 to 18 age group, sits on the floor leaning against nondescript taupe curtains gathered in folds. He’s the focus of the interview for this story and a bit out of the fray, but within range of a random flying object like a balled-up pair of socks. However on the ‘cross track he’s very much in the fray. Leading into and now after his latest national title, American cycling media outlets and some European journalists have been paying special attention to him this season. The 16 year-old became the inaugural junior Pan American Continental Cyclo-cross Champion in Kentucky, won a non-World Cup race at the fabled Koksijde venue in Belgium, and just placed third at the Hoogerheide World Cup last weekend in Holland, not to mention another European cyclocross podium and two more World Cup top five results. At Hoogerheide he led alone at the front of the race early on ahead of the junior World Cup leader and rainbow jersey favorite, Belgian Eli Iserbyt. He says he likes getting noticed. It’s good for the sport he loves. “It’s always fun to get attention and having everyone backing me up,” he comments. The others hanging out in the hotel room have performed well too. Haley, for example, won the junior’s race over the Milton Keynes World Cup weekend. They have taken the spoils that for many years the European boys have typically owned. 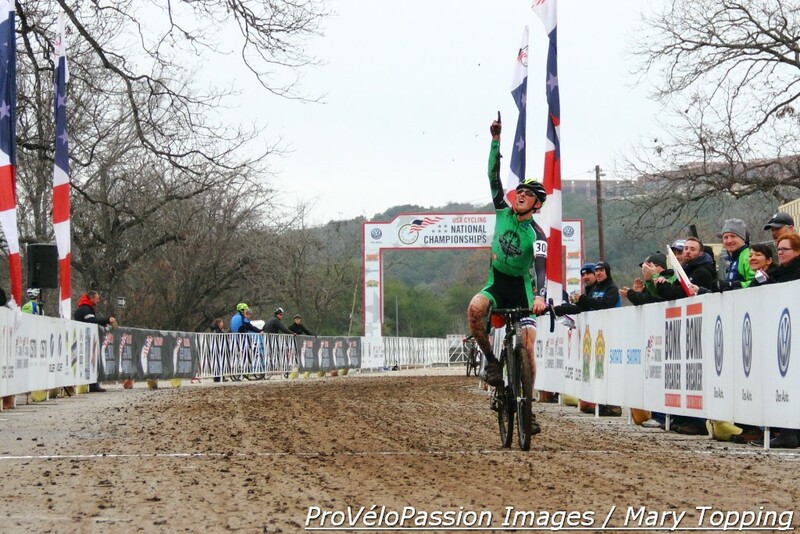 The last time the US has enjoyed several junior podiums in Europe was during the 2012-13 season with Logan Owen, now a U23 racer. This season, with Hecht and his worlds teammates racing like pros and taking two wins, the continentals don’t know what to make of the red, white, and blue invasion. Back in 2008 Hecht was an unknown not only in Europe, but in the US too. 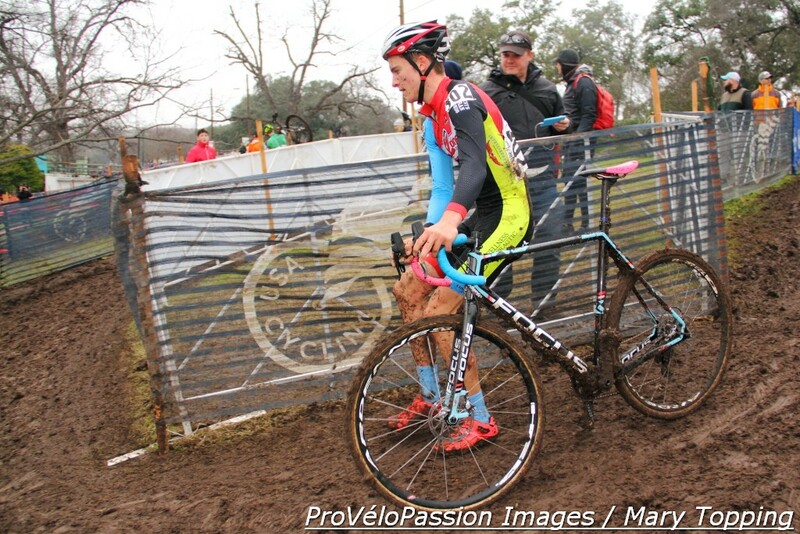 He completed his first big cyclocross race then at age nine, the national championships. “I don’t think I even knew what to expect; I was just going into it really blindly. We showed up to the line and I was wearing a jersey and shorts and everybody was wearing super-nice clothing and skin suits.” He and his parents thought, “This isn’t going to work out so well,” he recalled. They changed their minds when he finished second. Since then he’s netted five national gold cyclocross medals. Road racing suits him as well; he won the category 3 contest in the Tour of the Gila stage race in 2014 and beat local pros in the three day Superior Morgul Classic in Colorado. He and other members of the International Christian Cycling Club he belonged to prior to 2013 would huddle in prayer before races. Now even no longer on the team he’ll still look for ICCC members at competitions and enter the huddle. Sometimes, he says, he, Haley, Haidet, and Spencer Petrov – who didn’t make the worlds team this year, will join in prayer at the start line. Before racing, after racing. The American juniors in Europe spend a lot of time together. When they’re not training on their bikes, they hang around their rooms, watch TV. If townie bikes can be found they’ll amble into a village for coffee. Yep, they do their homework too. In fact, listening to them filling the hotel room with their voices, they seem much more a singular group than distinct individuals, more like five different voices inhabiting the same body. Worlds will be really tough, he notes, at a high pace. Hecht would love for it to be snowy and frozen. However he does say worlds carries “a little bit more significance.” After all, it’s only the culmination of a season’s worth of work, joys, and disappointments as well as three medals on offer just once a year to the best-of-the-best in the world. A healthy jolt of mayhem helps take them out of their heads and shut all of that out so the only thing they will think about on Saturday is racing their bikes. As Hecht logs off Skype, one of the others in the room yells, “Get it Brannan, get it!” They are wrapping up the evening with a push-up contest. Great article, Mary!! I love this! Wish I was there! I can’t wait to hear about all the adventures of your trip…have fun!!!!! Thank you Susan. It’s a real trip.